Loren Dunton, the organizer of this initial meeting and an industry outsider (career vacuum/silverware salesman), proposed that advisors would have to move beyond this prevailing sales culture. They understood that the conflicts of interest inherent with commission based financial products would be a significant hurdle in elevating financial planning to a higher level of standards. Fast forward to today, and despite the initial good intentions and five decades of significant progress, the financial planning industry still hasn’t evolved to a point where consumer’s interests are always put first. We've written about the importance of such an industry wide fiduciary standard here before. Unfortunately, we're a long ways away from that. Of the roughly 300,000 financial advisors currently active in the U.S., less than 10 percent are actually obligated to act as fiduciaries. Even then, there are still many advisors within that 10 percent who are dually registered as both an investment advisor and a broker, meaning they don't have to act as a fiduciary at all times. Having the ability to bounce between the two when it suits the advisor creates plenty of grey area and confusion as to when the fiduciary standard is actually applicable. The tangled roots of financial advice and financial products run deep, and most advisors haven’t wanted to, or more importantly been forced to, give up the ability to profit from selling financial products. As long as advisors continue to be incentivized by the investment vehicles they recommend to their clients, the question of whose interests are being served first will always linger. Do You Know How Your Advisor Is Compensated? So how can you tell if a financial advisor will actually act as a fiduciary 100% of the time? Start by determining how exactly they get paid. If that's easier said than done, which it often is, simply make sure you work with a fee-only advisor. A fee-only advisor will be compensated, in all circumstances, solely by the client. Neither the advisor, nor any related party, may receive compensation contingent on the purchase or sale of a financial product if an advisor uses that term to describe themselves or their practice. That simplicity and transparency is beginning to take hold in the industry as consumers experience the value of a deeper and more trusting relationship with their advisor free of hidden motives. Naturally, the big financial institutions have taken notice and are adapting…sort of. Fee-only vs. Fee-based: What's the Difference? The term “fee-based advisor” has become widely used as large financial firms seek to capitalize on the growing consumer demand for fee-only financial advice. It sounds about the same right? It does to Google too. Type in “what is a fee-based financial advisor” and the top result you’ll see is the definition of a fee-only financial advisor in Google’s “featured snippet” box. There is a very significant difference between fee-only and fee-based, and if all the A.I. behind Google’s search functionality can’t seem to get it straight, then we probably shouldn’t expect many investors to either. Fee-based means advisors will charge for some of their services using a fee, but are still able to earn additional commissions for certain types of mutual funds, annuity investments, or insurance policies they may ultimately recommend as a broker. While there are fee-only advisors that use such products as fiduciaries and do not receive additional commissions, the legal structures of these have hidden many fees from clients in the past. This dually registered loophole lets advisors have their cake and eat it too as a result. Fee-based advisors can still claim to be a fiduciary, as long as they mention their potential commission sources somewhere deep within the fine print of their form ADV. That’s not to say all fee-based advisors look to take advantage of this technicality of course. But it's certainly important that investors understand the wolf in sheeps clothing nature of a business structure allowing advisors to steer you towards investment products they can profit from. As long as we continue to give advisors that option, this industry likely won’t really change much from where we began close to 50 years ago. 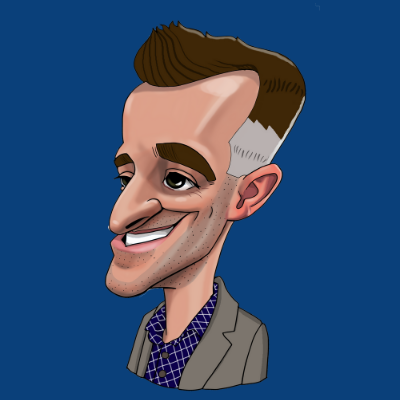 Fee-Based and Fee-Only Advisors are not the same. Broker dealers and Fee-Based Advisors often come with hidden fees and motives and some can even market themselves as fiduciaries but act as brokers. There's a one stop shop for finding a fee-only fiduciary advisor near you! 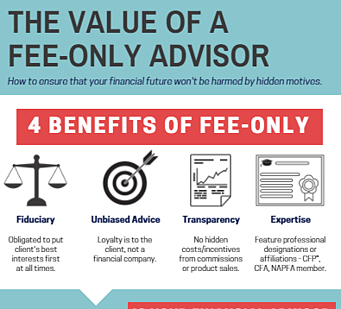 Download our FREE infographic and learn the true value of a fee-only advisor compared to other common advisors.